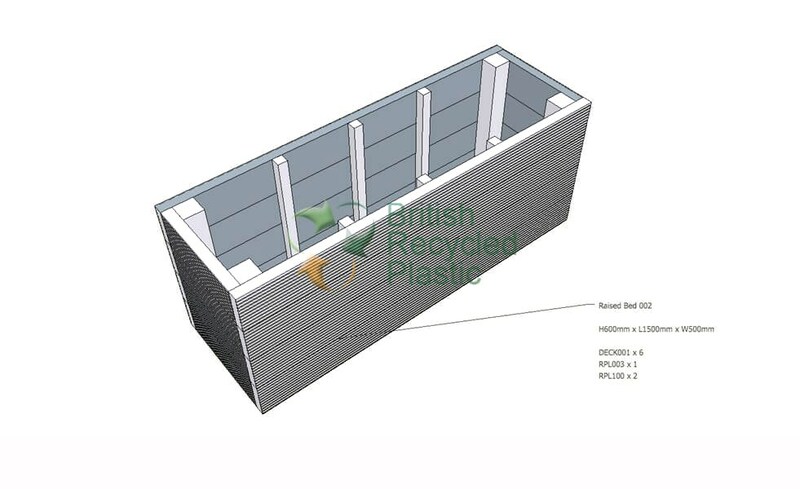 British Recycled Plastic offer tough, maintenance-free recycled plastic raised beds which can be tailored to suit your exact specification. As recycled plastic is chemically inert, it doesn’t degrade or rot in any way so there is no need for any harmful preservatives to be applied and, as a consequence, there is no leeching into the soil. 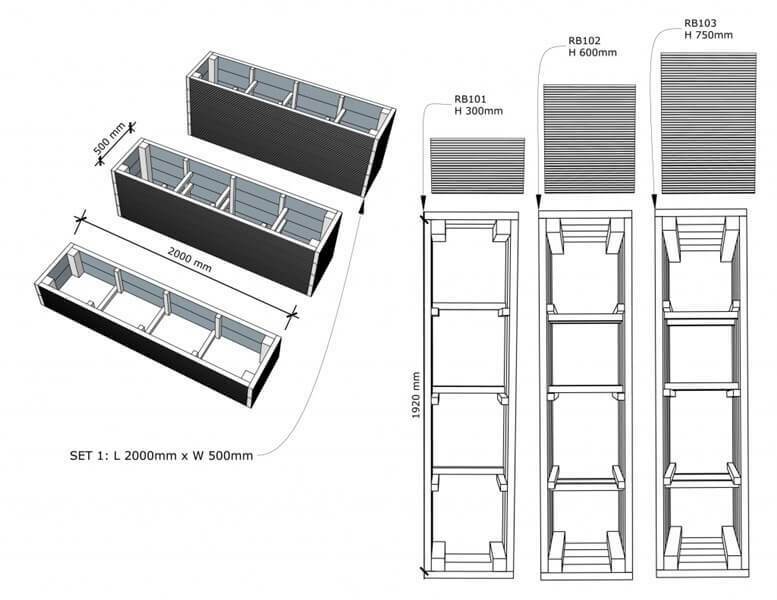 Whether you are looking for recycled plastic raised beds for allotments, schools’ kitchen gardens or for private use, we have a wide variety of sizes available or can just as easily supply material for a bespoke design. Our kits come in three heights, 300mm for kneeling, 600mm for seated access and 750mm for users who prefer not to bend, and three lengths, 1.5 metres, 2 metres and 3 metres. 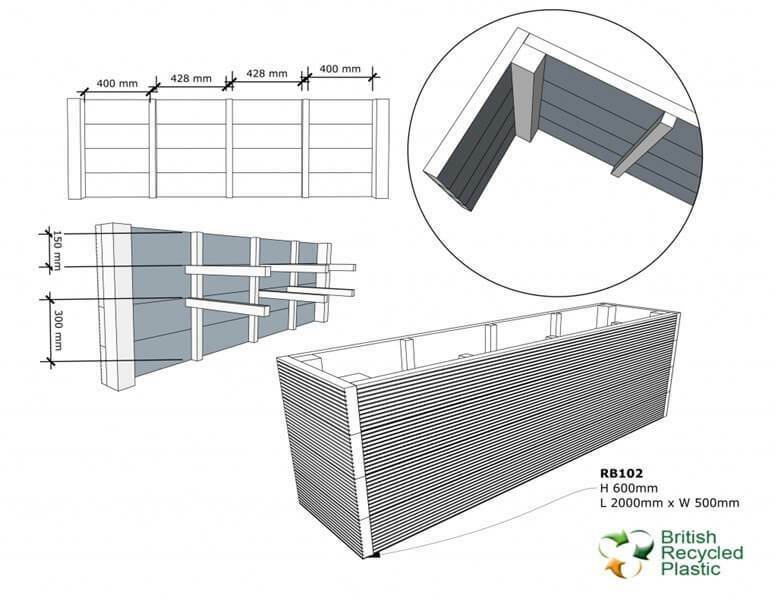 If you have existing raised beds that are rotting away and do not conform to out kit sizes, we would be more than happy to cut our recycled plastic lumber planks to your specific requirements. We make the side walls out of 150×40 decking planks, with the corner posts being 75x75mm and the side battens and cross-ties, 38x38mm. 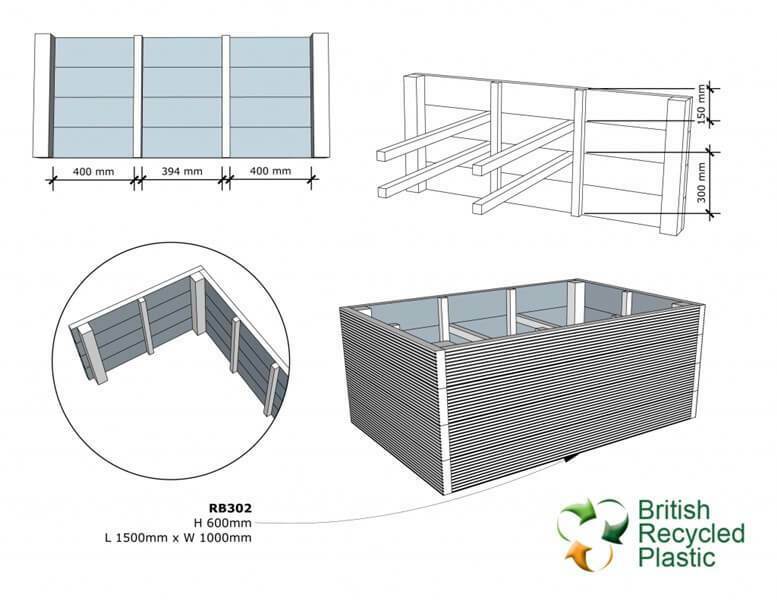 Why choose recycled plastic for your raised beds? There are a number of materials to choose from once you’ve decided that raised beds are for you. Wood is readily available and easy to work with but even when treated it rots quickly and is by far the least long lasting option. Sleepers are more durable but heavy and difficult to cut. They may also have been treated with preservatives in the past which will leak into your soil making it toxic. Bricks need a building expert on hand to ensure a safe construction and can also leak toxic lime into your soil. Concrete blocks will leave you needing either machinery or a strong team of helpers to put into place. 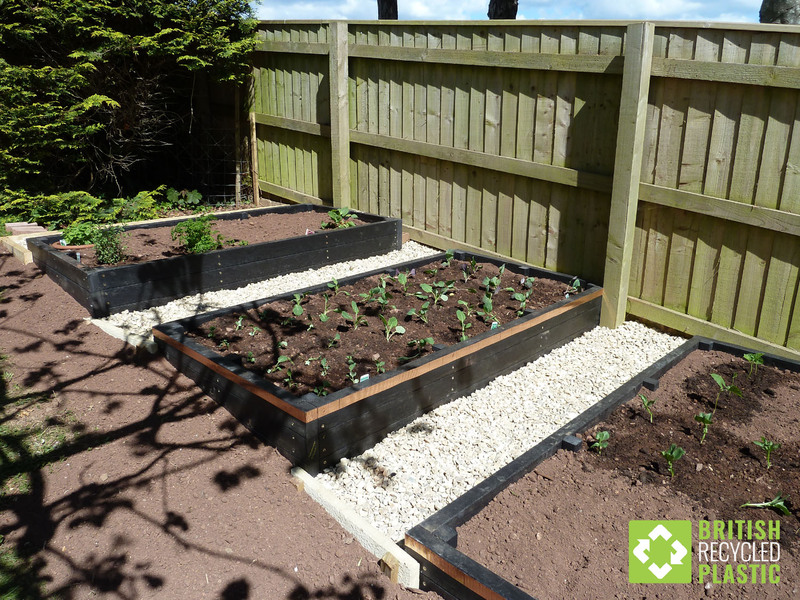 Recycled plastic raised beds are a permanent, maintenance free option that come either fully assembled or in easy to construct kit form. No heavy lifting, no plant hire and no team of body builders required. All our raised beds are constructed from 100% recycled British plastic and are reinforced by a set of plastic internal cross braces which hold the walls firm and disappear from view once filled with soil. 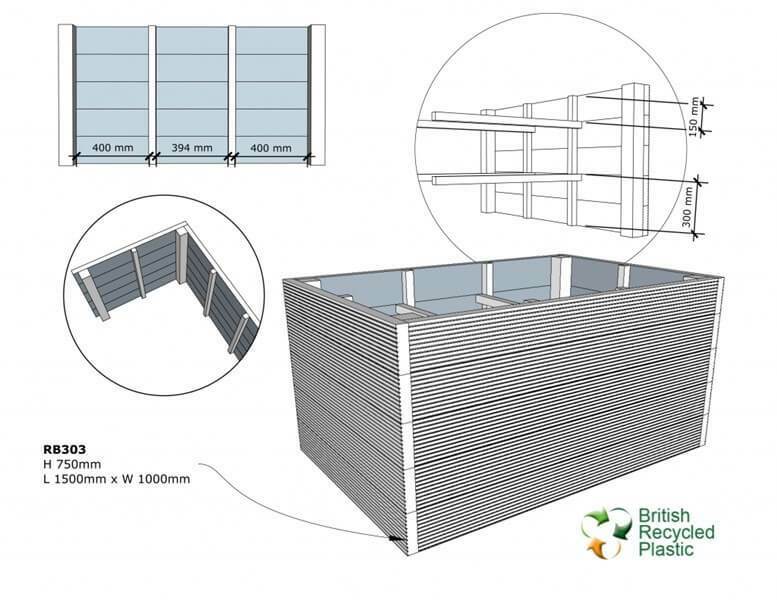 When it comes to raised beds size really does matter which is why British Recycled Plastic have designed a range of sizes to suit your need whatever it may be. 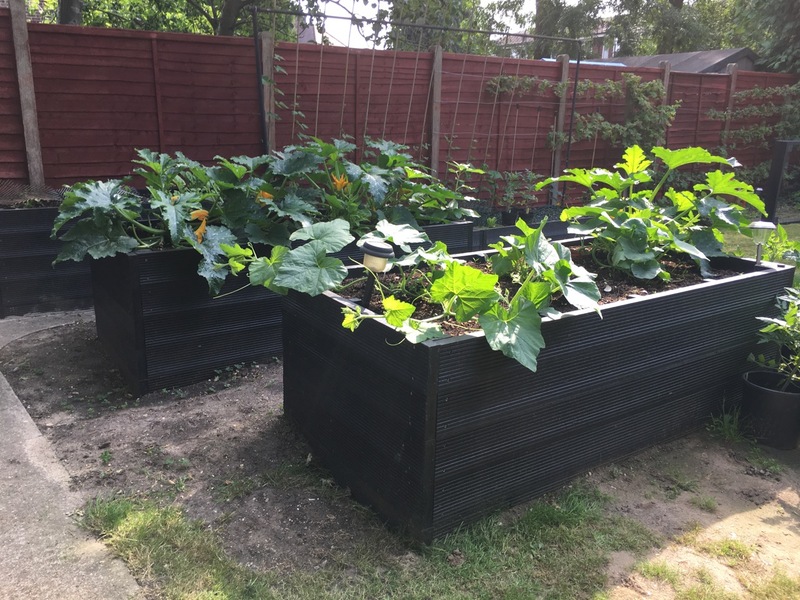 With a maximum width of 1000mm all our raised beds are fully accessible without the need to walk across them with your heavy, soil compacting boots on. 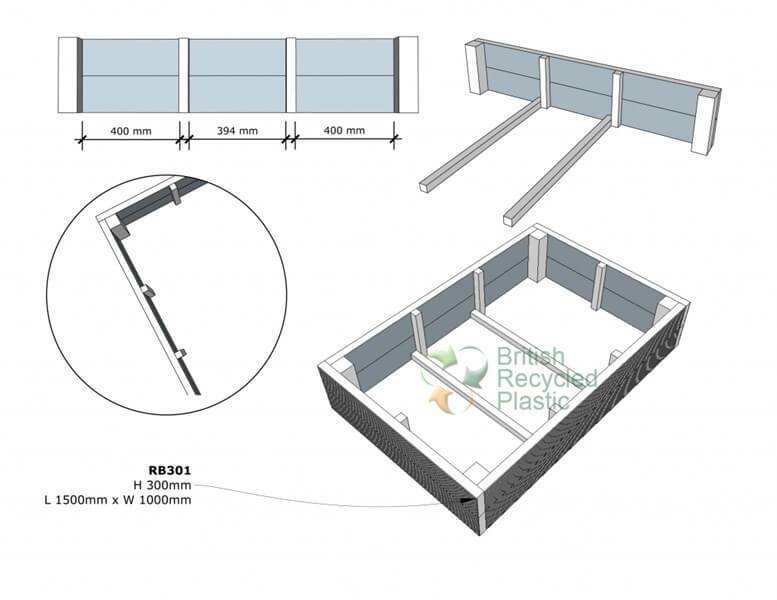 Height is a huge consideration too of course and there are three to choose from so whether you’re a kneeler, a sitter or a stander British Recycled Plastic has a raised bed for you. 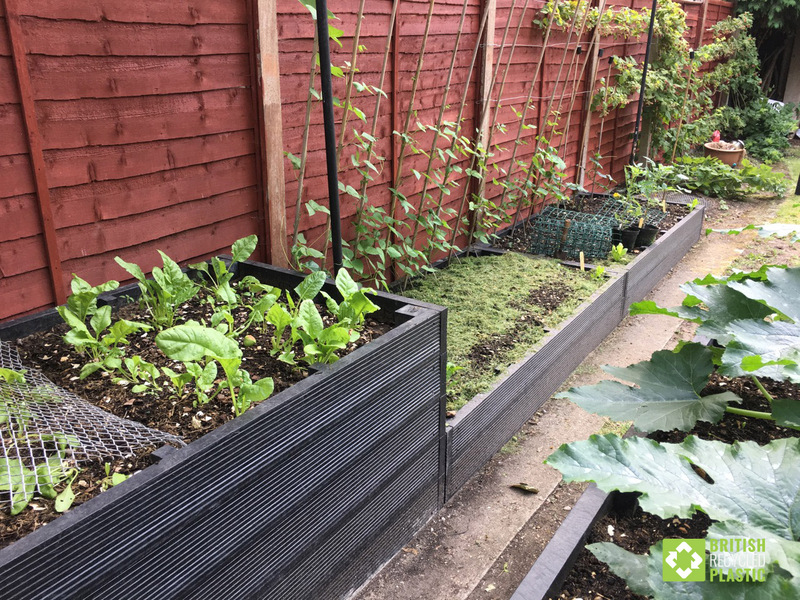 Raised beds are a perfect option for you whether you want to grow flowers, soft fruit or vegetables but have a limited area in which to work. 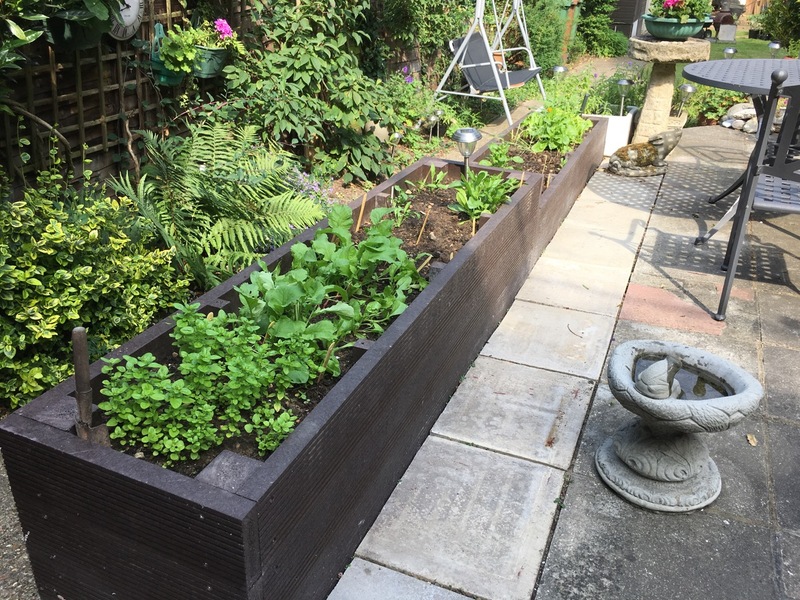 The 500mm wide raised beds can be placed directly against a wall which saves valuable space by giving you full access to your garden without the need to be able to walk around all four sides. If you use a wheelchair it’s probable that you will need raised beds that have a narrower reach. 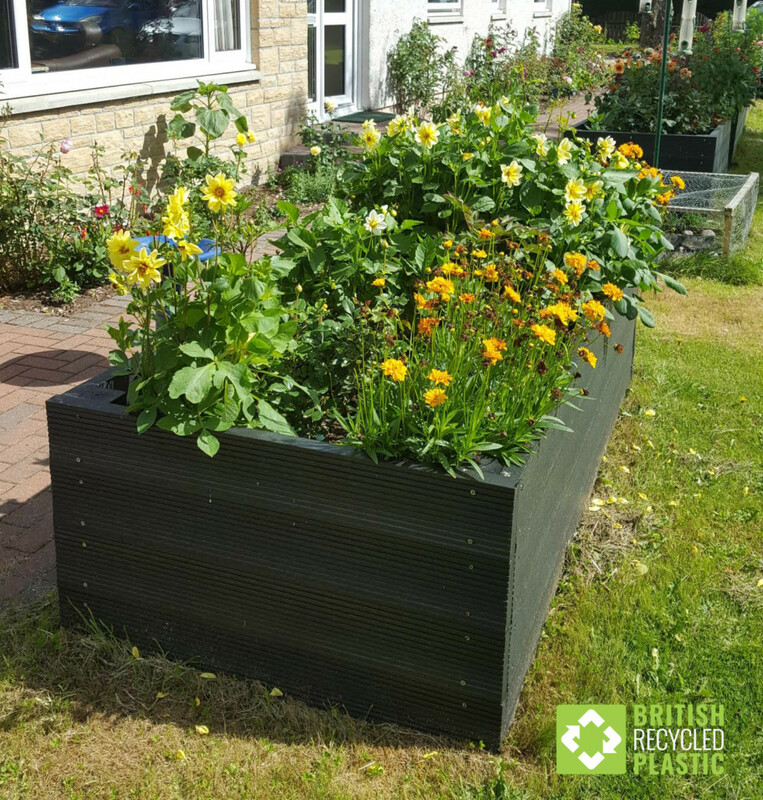 British Recycled Plastic have developed a range of 500mm wide beds in various lengths to make gardening easily accessible. There is an option for a 600mm high raised bed which is specifically designed to be wheelchair accessible. 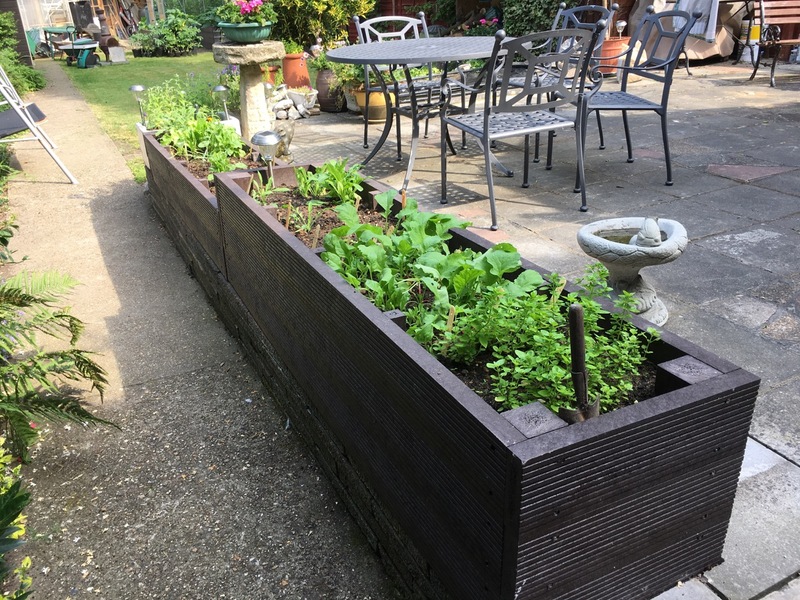 Raised beds are perfect for growing flowers, soft fruits or vegetables and make an attractive as well as a practical addition to any garden. 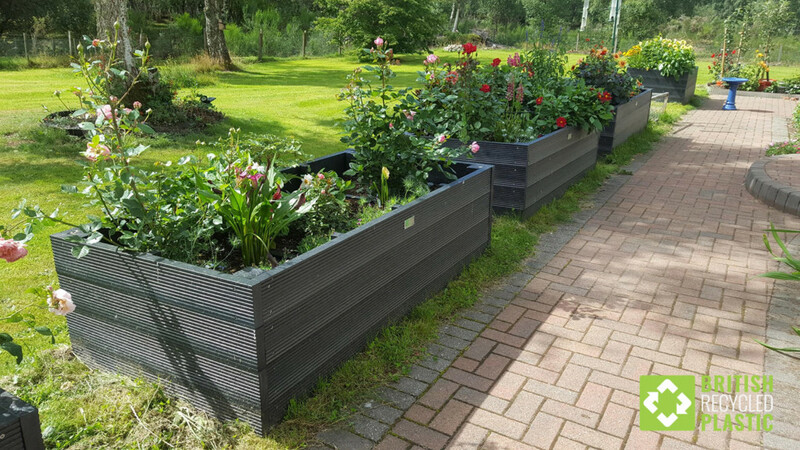 We have taken great care to ensure that our raised beds blend perfectly into your garden and both the black and brown options are designed to be a harmonious addition to you outdoor space. All the advantages of wood without the maintenance. 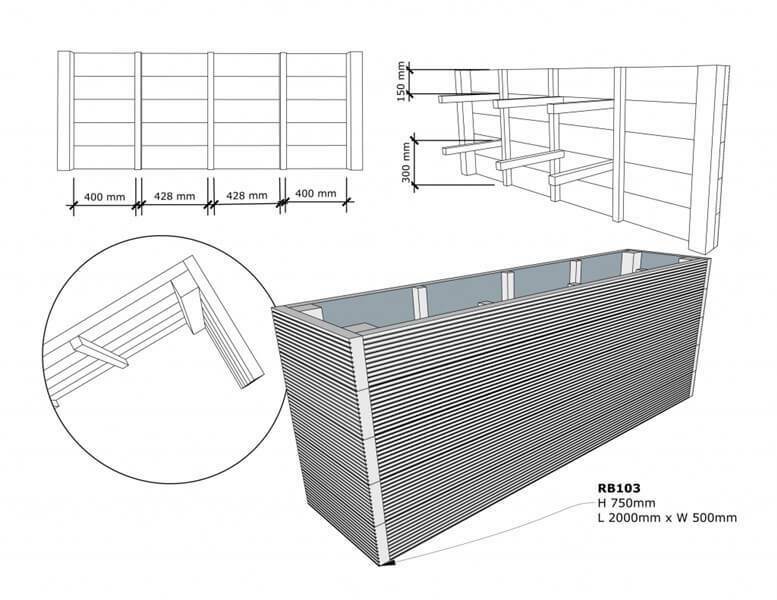 Once it’s been delivered, how do I store my raised beds parts before I start assembling them? Recycled plastic lumber should always be stored laid flat on delivery, until you start work on it. Can the recycled plastic lumber be worked like wood? In many scenarios, recycled plastic lumber can be worked like hardwood, however it is worth noting that it should never be cut lengthwise. This is to do with differing tensions between the “skin” of the recycled plastic and the inside. Nor should deep notches over 50% of the width of the plank be cut into it. Cutting a notch into a lumber plank weakens it as would be the case with timber. Therefore if notched planks are integral to your design, we suggest this is only as part of a finished product which remains static, ie. not something which is regularly moved or dismantled. I have replaced a number of wooden raised beds in the past, often after only a few years. How long will these last? Raised beds made from recycled plastic will last for many decades, maybe even 100 years. Will they leach any preservatives into the soil? Not at all. They are chemically inert, neither absorbing nor releasing anything. Do I need to buy a kit or can I make my own by just buying the lumber and fixing it together myself? You can do either. If you have specific dimensions you wish to fill, you may prefer to buy full lengths and cut them to your exact requirements, saving a little money in the process. If you want something easy to assemble, pre-cut and with fixings supplied, a flat-packed kit is probably best for you. Why do your kits and flat packs come in three different heights? 300mm is good general height for those people who are able to kneel while tending the bed; 600mm is the perfect height for wheelchair users and 750mm is a good height for those who would prefer to stand without bending too much. Why do the raised bed designs have struts going across them? The compost or soil, particularly while wet, exerts force laterally as well as up and down, and the braces help the raised beds keep their shape over time. 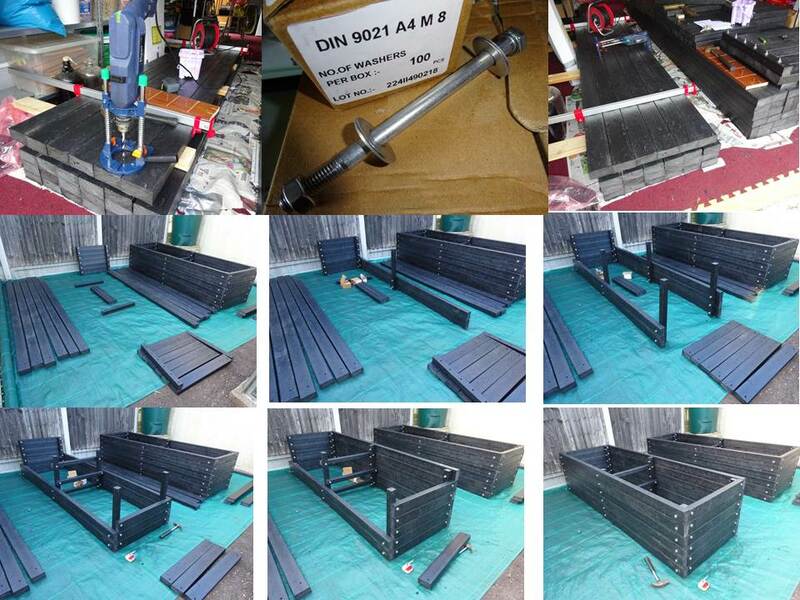 What are the dimensions of the component pieces of the raised bed kits? 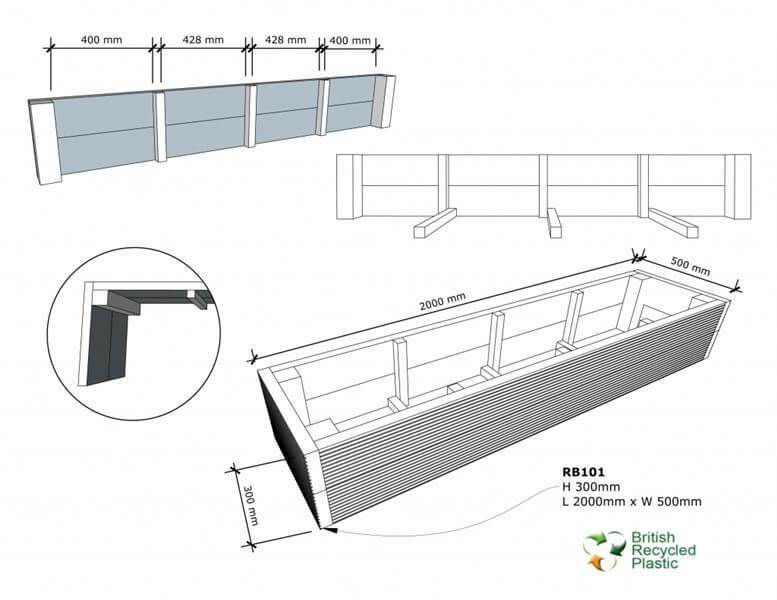 The corner posts are 75x75mm (RPL003), the walls are 150x40mm decking planks (DECK001) that you can have facing in or out, depending on your preferred finish, and the side battens and cross-ties (where used) are 38x38mm (RPL100). Can I buy these from garden centres? No, they are only available direct from us. Please email your enquiries to [email protected] and let us know what you’re interested in and where you are. How are they shipped out? Due to the very heavy weight of these and all of our other products, they are sent out strapped to pallets through the national road haulage network. 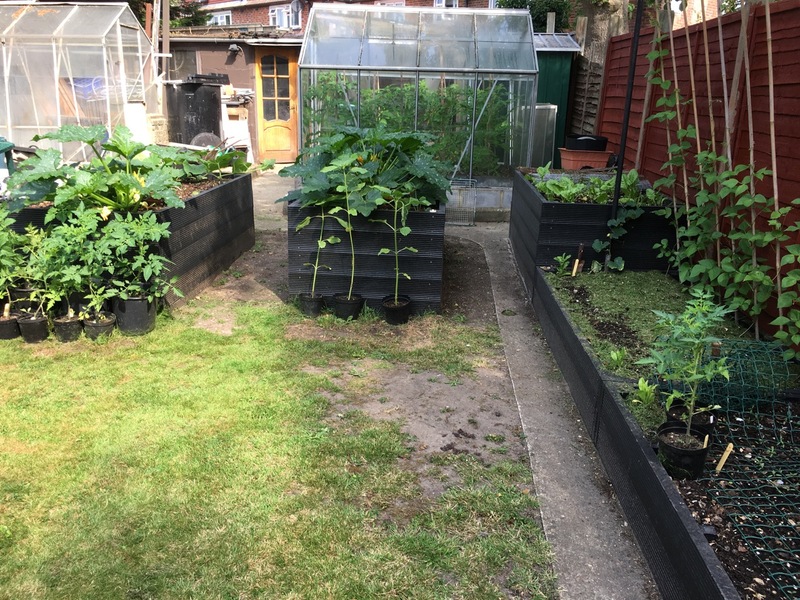 This can sometimes seem expensive if you are only buying one raised bed, as each 1200x1000mm pallet costs around £46+VAT to most central locations in the UK, so please bear this in mind. The pallets can take quite a lot of weight though, so in most cases the shipping costs for five raised beds will be exactly the same as one as they will be able to be stacked on top of each other. To see our Transport Map showing the cost of shipping (per individual pallet space) please click here.